A book series that sows the seeds of principles in the future generation by focusing on the inspirational lives of noble citizens from ancient times to the modern days; and educates them about the meaning of life. Shining diamonds in pocket; glowing lights throughout the street, but if one closes his eye and cries that ‘he is poor and there is darkness in the world’, what will we call him? Withdraw will say that he is unlucky. If we, having been born in India, do not understand how lucky we are, we will be like that man. We are blessed with innumerable number of rivers, unending mines, and enviable forests. Bharata Bharati Pustaka Sampada is a book series that introduces people to the wonders of nature in our country starting from Kashmir to Kanyakumari, which is a feast to our eyes, holy places that invigorate the divinity in you, noble souls, learned men and women, the brave warriors and martyrs who laid down their lives for the motherland. In every household, the elders try their best to provide the youngsters with every possible comforts and facilities so that their lives should be comfortable! But they also need gifts that serve them as a guiding light. Inculcating children about the wonderous land of India is a service that we should render to our mother land. Bharata Bharati Pustaka Maale has the distinction of pioneering a new era in the children’s literary world. Publication of 510 (from Valmiki to JP) books titled on our national noble men and women at the time of 70s under the editorship of Prof. L. S. Sheshagiri Rao when the information was hardly available. Books on great men and women who represented all strata of the society from Kashmir to Kanyakumari and who included saints, scientists, artists, musicians, freedom fighters, social reformers, warriors, kings and sportsmen. Reached various villages in Karnataka with innovative plans. Released in unique manners in each district of the state. VIPs of that time had attended these programs. 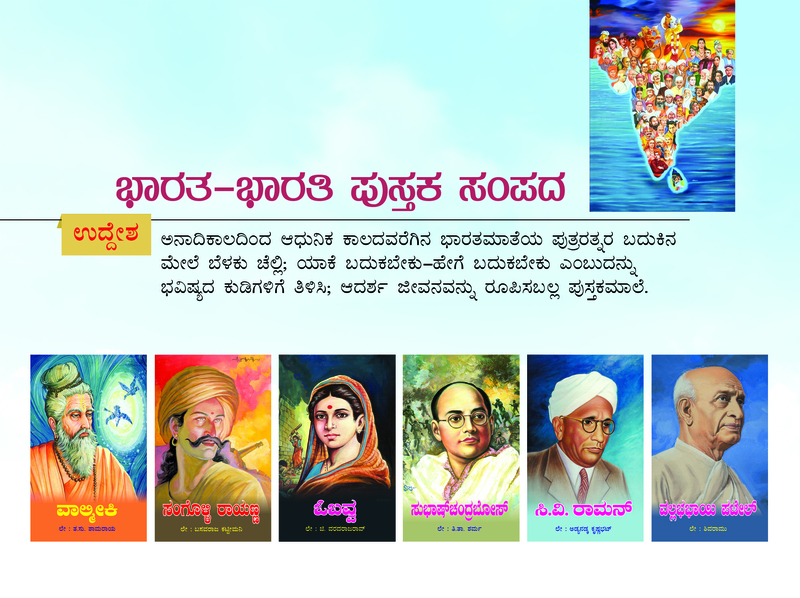 It is a matter of immense pride for us that legendary writers of Kannada literary world, such as Da. Ra. Bendre, De.Ja.Gau, Ram. Shri Mugali, G.S. 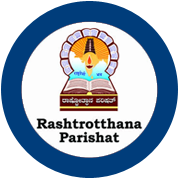 Shivarudrappa, M. V. Seetaramayya, V. M. Inamdar, Pa. Vem Acharya, Ti. Ta. Sharma, Vyasaraya Ballala, S. K. ramachandra Rao, Na. Dsouza, HSK, Hamana, H.S. Parvati, T. Sunandamma, Ho. Ve. Sheshadri, Khadri Shamanna, N. Ranganath Sharma and others were the writers of these series. Translation and publication of 200 titles into English. The translation work of other books is under progress. You can often see the great thinkers and authors of the land mentioning Bharata Bharati in their speeches and saying that it was the primary reason for them to develop a love for literature.